The first writing group I ever attended was at the library where I used to work. I had written for pleasure my whole life, but I never did anything with it. Not that one has to do anything with his or her writing. However, when my friend and co-worker mentioned that she was starting a writing group, I was intrigued. I joined the monthly meetings without any expectations and a lot of desire and nervousness. No one had ever heard my writing beyond my parents and husband. Now I was being asked to share my work with strangers. Reading aloud in group did not come easily to me, and I didn’t do it as much as I would have liked. Even submitting through Google Groups intimidated me. I kept going to the group but constantly came away frustrated and angry with myself. Then came the day when I realized the writing group wasn’t a good fit for me. I’ll refrain from listing the reasons why so I don’t sound petty or judgmental. The group still exists at a different location, members have come and gone, but the group is solid and I wish them every success. I joined another writing group that seemed like what I was looking for, followed a few members from there to a new group, and tried two other groups on a hit or miss basis. I kept writing, editing, querying, and blogging, but I felt unsettled. I’d made wonderful friends in the writers I’d met, so what was missing? A fellow writer from one of the earlier groups invited me to an informal meeting for writers at her home. She writes mysteries as do the majority of the attendees. The invitation to talk about craft and industry was too tempting. I went mostly to observe, listen, and learn especially since I don’t write mysteries. If memory serves me correctly, that was close to two years ago. In that time an amazing thing happened. I remember the moment it dawned on me that the seven of us had come to trust each other. Every month we sat around the dining room table talking craft, industry, and so much more. Maybe it was the fact that we were all facing each other. Perhaps it had to do with sharing about our families, jobs, fears and joys, failures and successes. Maybe it’s because the group is small, consistent, and all women. Whatever the reason, I know that each of us looks forward to the monthly meeting with the same excitement and anticipation as one would a trip to Disney World combined with a visit to a great therapist. The connection the group established spilled over into occasional e-mails, then a weekly check-in, and finally the need for a private means of communication via social media for questions and comments not requiring immediate attention or lengthy conversation. The group is a success because we know we’ll be there for each other. The support is invaluable. I’m sharing this to stress the importance of finding a writing group that works for you. If you have the desire and initiative, create one. Only you can decide what makes a writing group work for you, so don’t stay in one that isn’t beneficial to your writing life. I know I’m where I’m supposed to be because I hate for the meeting to conclude, I miss my fellow writers/friends before I’m even out the door, and I can hardly wait until we’re together again. 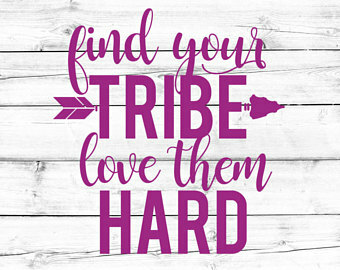 Go forth fearlessly and find your tribe. Thank you for sharing that part of your journey. It is very encouraging. You’re welcome, Mark! Having a great group of writing friends has been priceless! I am honored to be a part of that group.